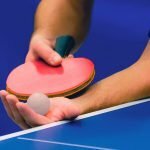 Getting a racket that is too fast and too tacky is one of the worst mistakes a beginner can make when choosing his first paddle. In the beginning, it is much more important to learn the strokes correctly and gain confidence in your shots. 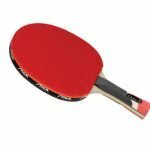 Fortunately, the STIGA Titan allows you to do just that, while also being a very affordable paddle. The paddle is made out of 5 plies of extra light balsa wood that uses STIGA’s Crystal Technology. This hardens the blade surface, giving it a boost in speed. It features a concave Italian composite handle which is very comfortable and light. 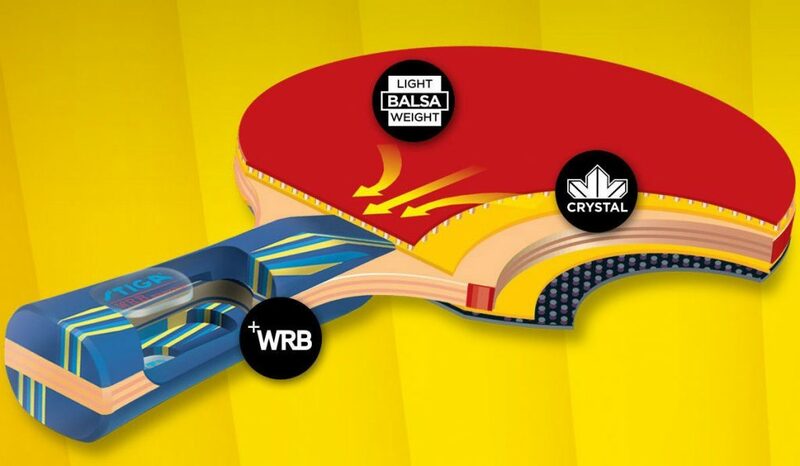 Furthermore, the bat uses STIGA’s custom made Triumph inverted rubber, which is ITTF approved and offers a good amount of spin. It is not the best rubber out there, but it provides a lot of control for a beginner to work on his fundamentals. 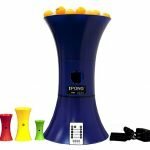 These components make the racket very light-only 158g- allowing you to play for an extended period of time without becoming exhausted. 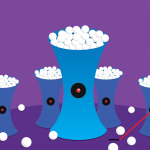 Placing balls with precision is crucial in the beginning when learning the basics. This paddle has no problems in this area. 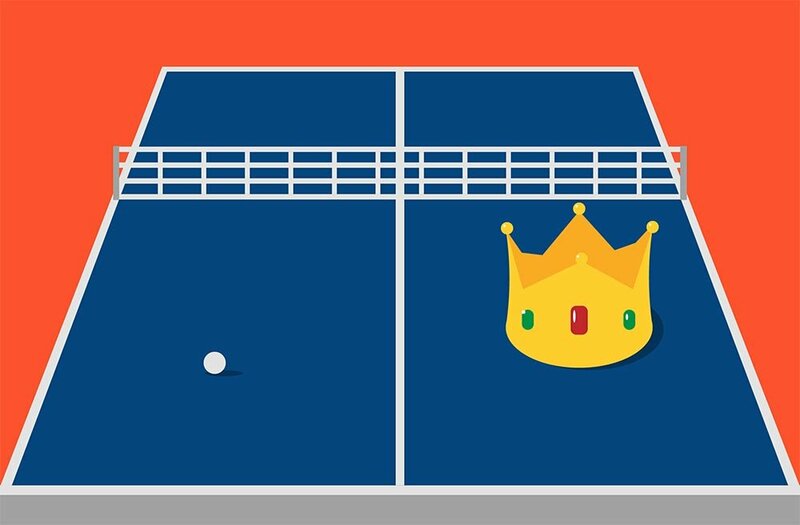 Because of the lower quality sponge and blade, the racket does not have a lot of speed, which is great for a novice learning the correct stroke mechanics. The price is where this bat really shines. 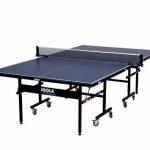 It is an inexpensive paddle which offers enough spin to learn the different serves, enough power to put the ball on the other side without much effort and excellent control to develop security in your shots. This is a slow paddle. 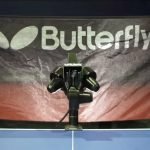 You will not become the next table tennis champion with it. It is not meant for intermediate or advanced players. It is the perfect paddle for the player that just became serious about the sport of table tennis. A few users have reported some quality issues but with STIGA’s excellent customer service this really shouldn’t be a problem. 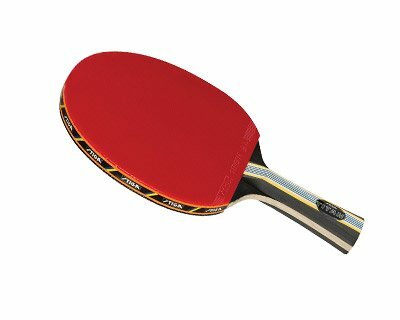 The STIGA Titan is a budget ping pong paddle that offers exceptional performance for its price. It allows the player to learn the correct stroke movements and gain confidence in his abilities. If you just started playing the game and want to improve fast then this should make a great first paddle. 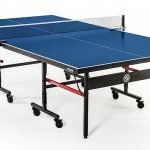 Due to its very light weight, you will be able to practice for a longer period of time without becoming fatigued. 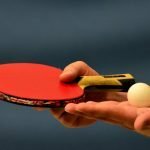 It goes without saying that this is not a paddle meant for intermediate or advanced players. Those who have acquired a little bit of skill and want to advance to the next level should consider the STIGA Pro Carbon — the best pre-made paddle in terms of speed and spin. Undecided? Hop over to Amazon to see what others think about the Stiga Titan.